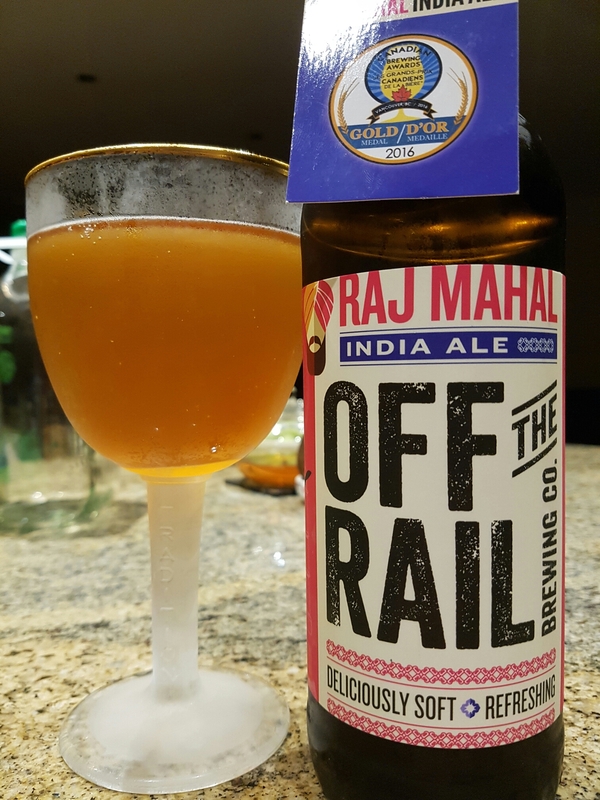 Raj Mahal India Ale – Off the Rail Brewing Co. (Vancouver, BC, Canada) | Justintoxicated. Visual: Pours translucent golden orange with no real head, just a bit of a spotty island, a few singular slow streams. Summary: If this one won the CBA 2016 Gold Medal, then all the others must have been really lackluster. This is just a bit above average; the lemongrass is barely there and the kaffir lime leaf only seems to keep it at the same level as opposed to kicking it up a notch.